The Ardsley SAYF Coalition is once again teaming up with the Ardsley Police for a Prescription Drug Giveback Day. For further information contact ardsleycoalition@gmail.com. 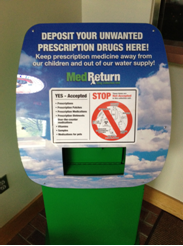 Bring all of your unwanted, unused and expired prescription or over-the-counter medication for proper disposal. (Sorry no syringes will be accepted.) Also, if disposing medication in its original prescription package, please cross out any identifying information as well as your prescription number. Medication does not have to be in its original packaging for disposal. Please don’t flush medication down the toilet, it pollutes our drinking water. All collected items will be brought to the DEA for proper disposal. Next Post Surround Yourself with Good Friends… They are Good for You!